This comfortable South Plainfield hotel is perfect for lodging near Rutgers University in New Jersey. The Garden Executive Hotel is centrally located for business and leisure travelers offering quick access to Interstate 287 and the New Jersey Turnpike. 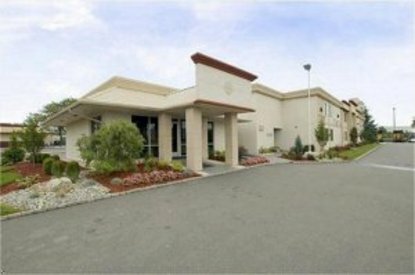 This South Plainfield hotel places guests only two miles from Rutgers University and close to Motorola, American Standard, AT&T, Verizon, and PSE&G corporate centers. The hotel's attentive, multi-lingual staff will provide each guest superior customer service. Leisure travelers will find great restaurants, shopping malls and the train to New York City within walking distance from the hotel. Bargain shopping can be found a short drive from the hotel at the Liberty Village Premium Outlets in Flemington, New Jersey or at the Jackson Premium Outlets. The hotel is also only 15 miles from Six Flags Great Adventure amusement park in New Jersey and just 30 miles from the sights and attractions of New York City. Each room at The Garden Executive Hotel features cable satellite television with 75 channels and free high-speed Internet access. Additional amenities include a free deluxe continental breakfast and 24-hour fitness facility. Book an online reservation today at this South Plainfield, NJ hotel -- The Best Western Garden Executive Hotel.